Comparatively, the hard road to success requires you to sit on your hands and wait for positive things to happen to you. It requires the constant search for short-cuts and easy options. It requires doing the same thing over and over again with little apparent progress, like a hamster on a wheel or a vehicle stuck in mud. It requires a yearning for comfort, despite the nagging voice in your head and heart to have a go. 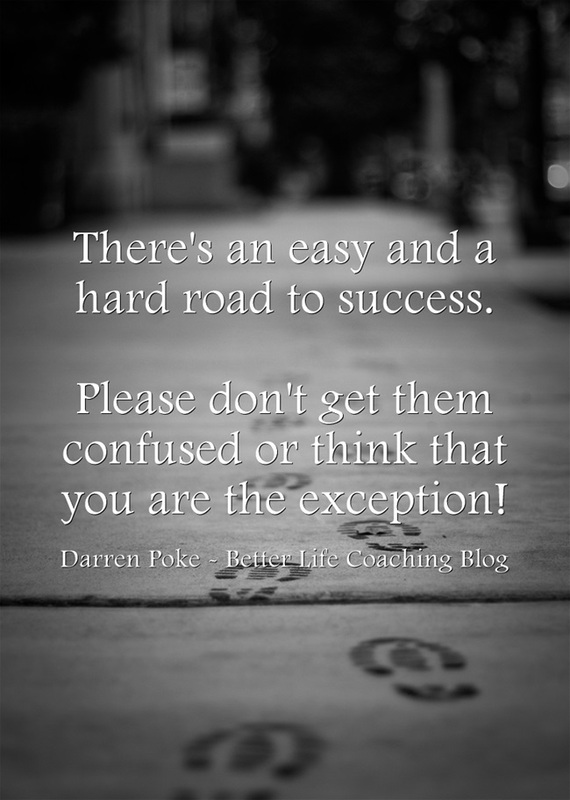 Please don’t get them confused or think that you are the exception! The easy road may make success look difficult, but it’s got nothing on the alternative. such an amazing blog. i just loved it so so much. great work. it was so helpful.